We’d had a wonderful stay at Mandapa up in Ubud, but we couldn’t come all the way to Bali without going to the beach. We’d gone back and forth between Jimbaran Bay and Nusa Dua, and ultimately chose the Conrad Bali because I carry Diamond Status and Hilton had introduced their new loyalty program. This new loyalty program provided us the ability to book a large, one bedroom suite, looking SMACK at the ocean with cash + points. How could you beat that? Let’s take a look at the Conrad Bali and our Resort Ocean Suite King. Benefits: Club access + free breakfast, wifi. Diamond status was acknowledge and funny enough we were told that they couldn’t upgrade us because all the lagoon suites were occupied. I inquired about the Presidential and Penthouse ( which would be crazy upgrades ) and they told us it’d set us back roughly $500 to upgrade. YA RIGHT. Here’s where I wish I’d have had a little bit more perspective on the resort. We were booked into the Main building in an Resort Ocean Suite King with a rollaway. The Suite is just under 1000 sq ft and looked incredible online. I don’t think there is much of a difference in the quality of the Conrad rooms compared to the Main building rooms, but there is a far more intimate feel over in the Conrad section. The also have villas that look pretty cool. I think our perspective was affected by staying at Mandapa which has less than 60 suites and villas compared to the Conrad which is many many times bigger than that. While the proximity to the buffet breakfast, lobby, shops etc were much better in the main building, I wish I’d have requested us to be put in the Conrad section. The club is there, it has a small private pool, and feels like a hotel within a hotel. Regardless, our accommodations were incredible. The suite was a true 1 bedroom Suite with 1 and 1/2 baths. Tons of space and a rollaway easily fit in the living room. The bedroom also had it’s own balcony which overlooked the swim up pool and ocean. It was truly a fantastic suite. And they brought my mom a birthday cake! The hotel has beautiful walkways and common spaces. The gym…which felt ancient and oddly tucked into a dark corner under a staircase. I mean, I know people don’t like to work out on vacay, but there is a huge, big, beautiful beach – why not position the gym to see it? Or at least sunlight? It’s a solid 10 minute walk from check-in. I would highly suggest using their private check-in or have a golf cart take you if you don’t deal with heat well. It was BOILING hot and I was drenched just walking the short distance. A look back at our section of the hotel. We were 2nd from the top on the far left. The next morning my dad and I grabbed breakfast in the main building on the bottom floor. It was a fairly decent buffet, but the view was stellar. This is a wonderful hotel with a great staff. From the moment we arrived they treated us very well and the cake was an excellent touch. I didn’t include pictures of it, but I will add that if you have club access there are multiple places around the resort you can have your afternoon cocktails, and breakfast is available in various places as well. The resort is large. It’s quite a bit smaller than the Grand Hyatt down the beach, but if you’re looking for a smaller more intimate feel either go to the Conrad section or find a different hotel. The other consideration to make depends on whether you’re a morning or an evening person. This hotel provides a great sunrise, but you need to go across the island to see a great sunset. 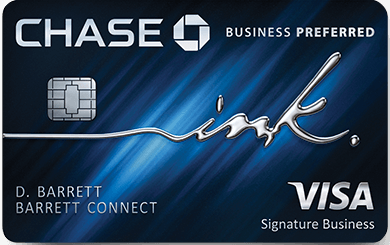 Previous Article MMMondayMemo: What are Amex Offers? Nice series of reviews. I stayed at the Conrad with my daughter (age 11) last year. While we enjoyed the hotel, pool, and restaurants, the beach itself was a disappointment. Readers looking for a beach for their beach vacation might be better off elsewhere. Thanks Bob3Seattle – We didn’t venture into the water or down onto the beach, but interesting to hear. readers will find that info valuable! You should have had breakfast at the Conrad Suites (you were allowed). feels like a private restaurant, excellent fresh food and juices. They have highest quality tuna and salmon sashimi. Thanks for the review. How was the beach? Is it good? (Reason of asking: some resort in Nusa Dua area have their beach artificially made, which is very bad). As a hotel this place is nice but you could be anywhere. The beach here is pretty terrible IMO. Artificial and filled with people trying to sell you things. I agree about Conrad Suites breakfast. Much quieter atmosphere and Better quality food. Japanese breakfast is delicious.